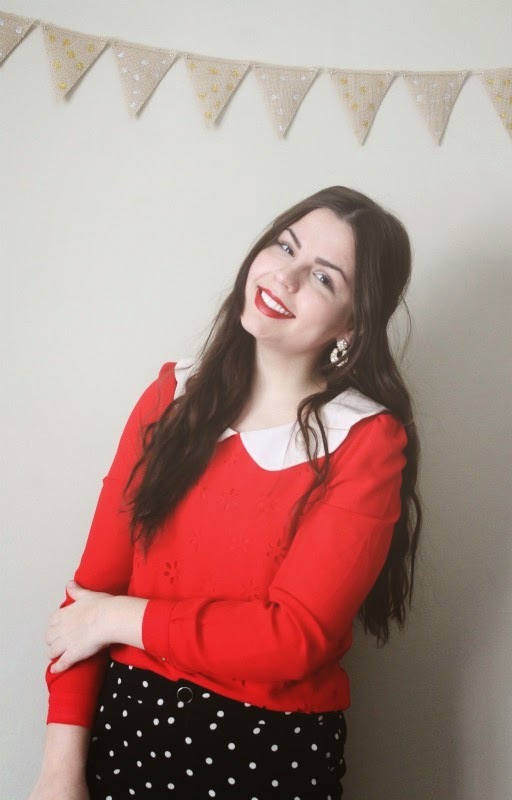 Red Collared Blouse: c/o OASAP. 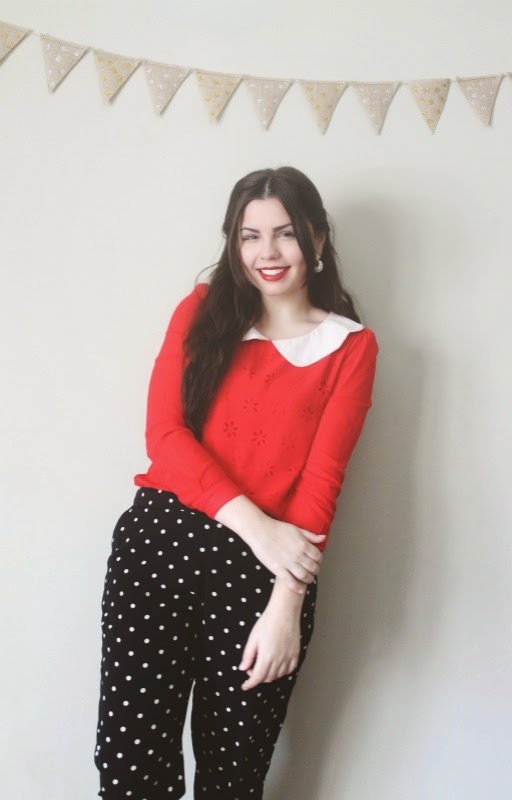 Another little Valentine's Day inspired outfit-- this time mixing some red with polka dots! 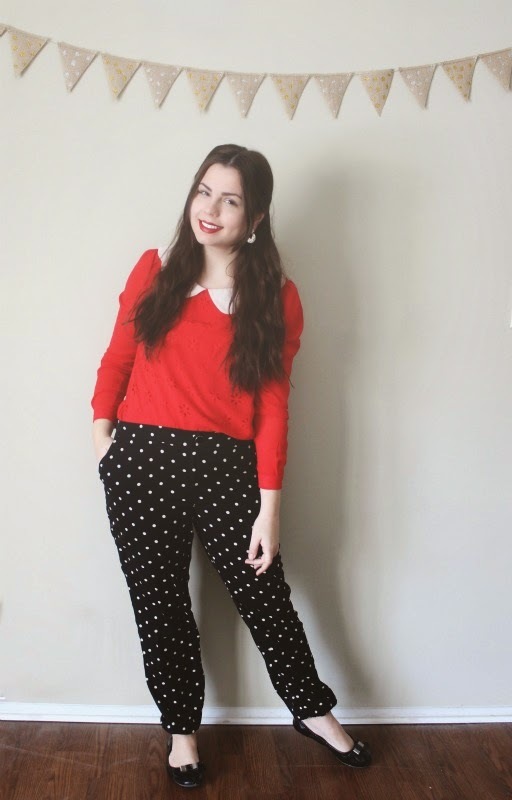 I love these polka dot pants from Forever21, but they're just so hard to style with anything to be honest. They're not the most flattering for my shape/height, and they have these really strange elastic bits at the bottom that I always tuck in because it's awkward, ha. 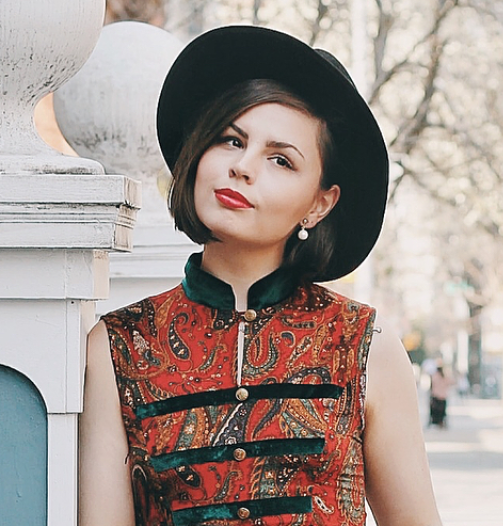 But, I do try to style them up every now and then because I think they can be a fun, yet classic piece to wear. Hope you all are lovely-- only four days until Valentine's Day! I love this outfit so much Lauren! 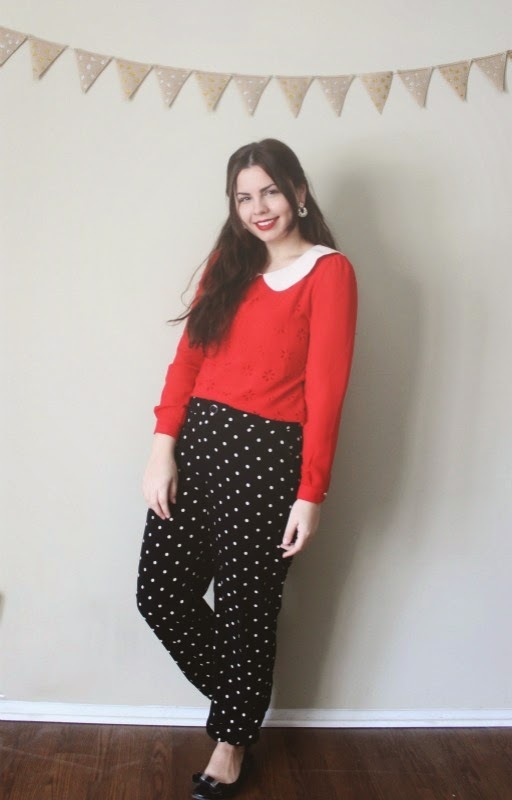 I have got to find myself some polka dotted pants! Hope you are well! Trying to make sure I word this so it doesn't sound negative if it comes across that way please know that isn't intended to be. 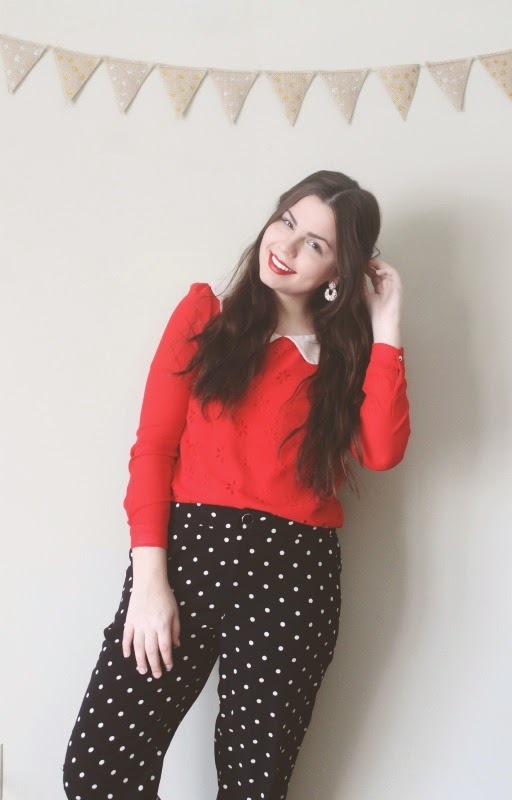 I can see what you mean about the trousers I have similar pair and at first I had no idea how to style them and found them at first to be really unflattering, it took some trial and a lot of error before I found a way to style them how I felt comfortable with. For me personally I found that tighter tops with more structure worked best, and a black blazer is an amazing pairing IMO. That shirt!! :-) The whole outfit is so darling!